Zip ties, what can't they do? From bundling a mess of wires to securing a stray component to an enclosure; zip ties are a great thing to have handy. 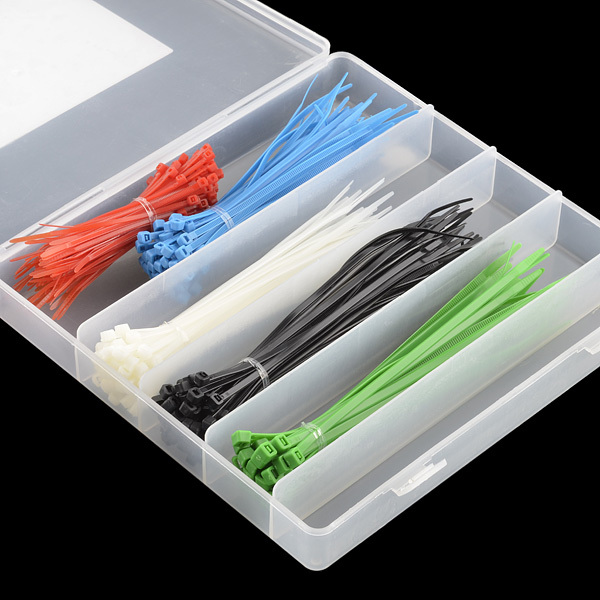 Well here we have an assortment of 300 zip ties in plastic organizer, each size is a different color so they can't get mixed up (unless you're color-blind). 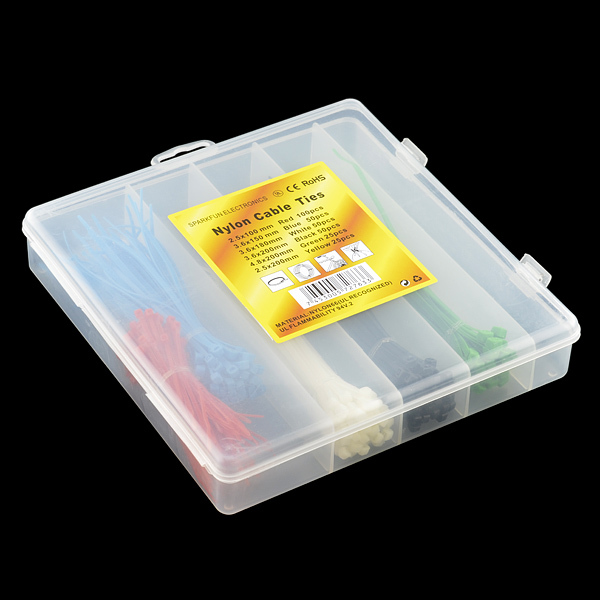 Always having a selection of zip ties at arm's reach really makes our lives easier (at least the workbench-related part) and we think it might help you too. Nice! And you get a sweet box, too. I was about to have to go to Radio Shack and get some of these, too. I'd rather gnaw off my arm than go to Radio Shack. That container looks like it would make a nice parts bin. 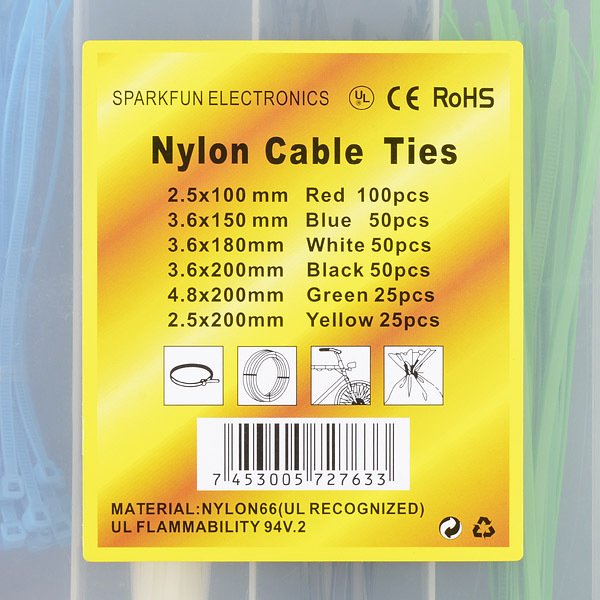 Especially for connectors and wires. Nice verity of ties in different sizes and colours, but the box didn't have the dividers in them like shown in the picture. Kind of wishing it did. Sparkfun, I love you. 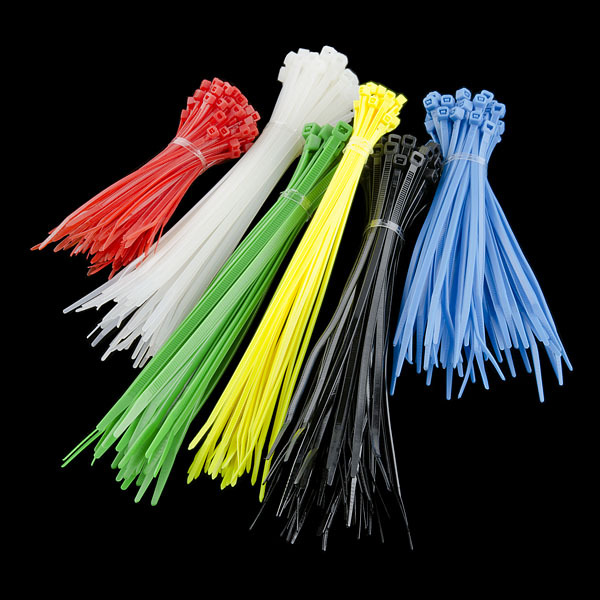 But I don't recommend you sell these zipties anymore. Most of the zipties in my box had faulty latches that would break. Failure rate is over 50%. The only zip ties I have are on the thick side, so this seems pretty useful. Roughly how big is the container? Beware... my set of ties came with a box that would not latch closed. There was all kinds of messed up flash on the latch parts. Looked really funky like the mold didn't close all the way or something.